Decorex is renowned as London’s premier interior decoration event, and its aisles are populated by the cogniscenti of the interior design world searching for new ideas. 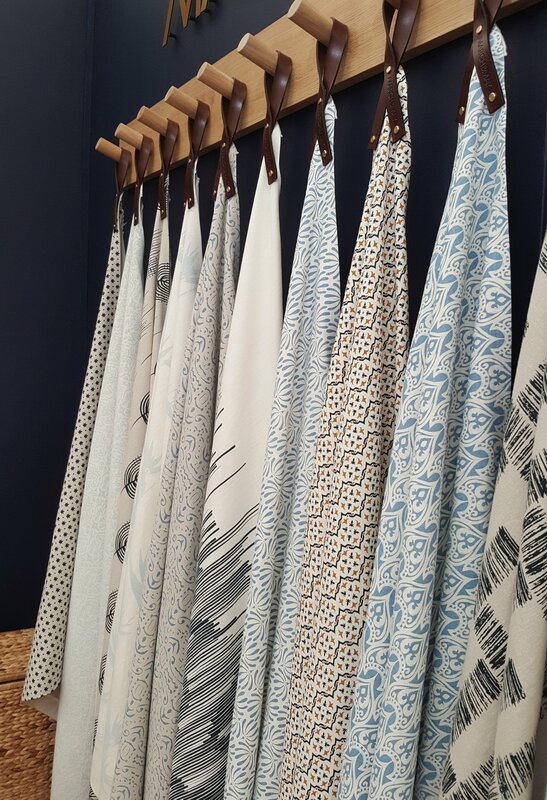 Revisiting the show I was excited to see that Decorex is encouraging smaller design companies to exhibit, and rather than sticking them in a dingy corner of the show, they are interspersed amongst the established brands. Fanny Shorter, for instance, has a beautiful collection of hand printed linens, bold in colour and exquisitely drawn. Not for Fanny the current trend of photo-montage and digital printing, hers is a truly personal collection of designs inspired by the stories of Gerald Durrell and the island of Corfu. Story telling is also part of Newton Paisley’s collection. Designer Susy Paisley is a biologist who has used her drawings to create a collection of prints that highlight the plight of endangered species. 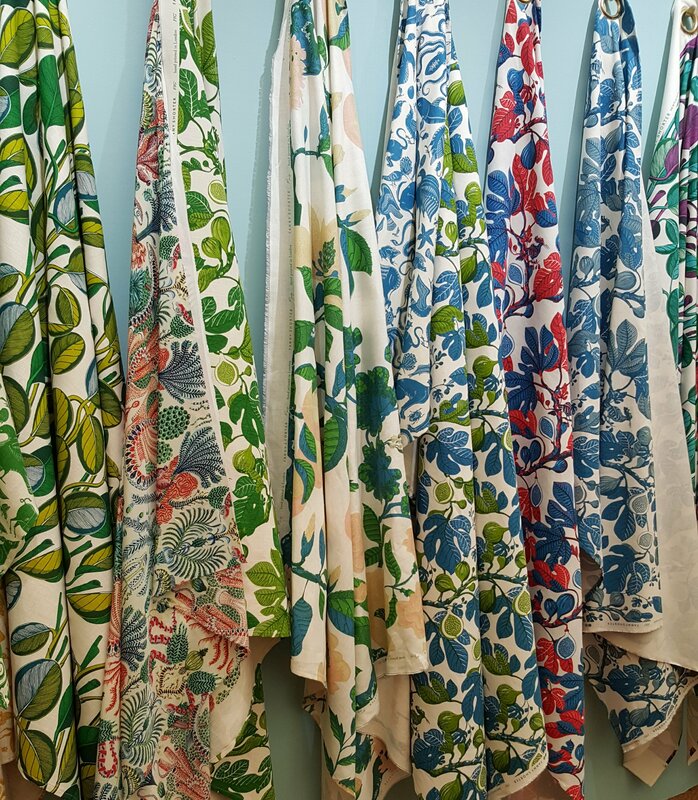 Glorious depictions of tropical creatures and plants printed on linen serve to preserve wild habitat through her collaboration with the World Land Trust. 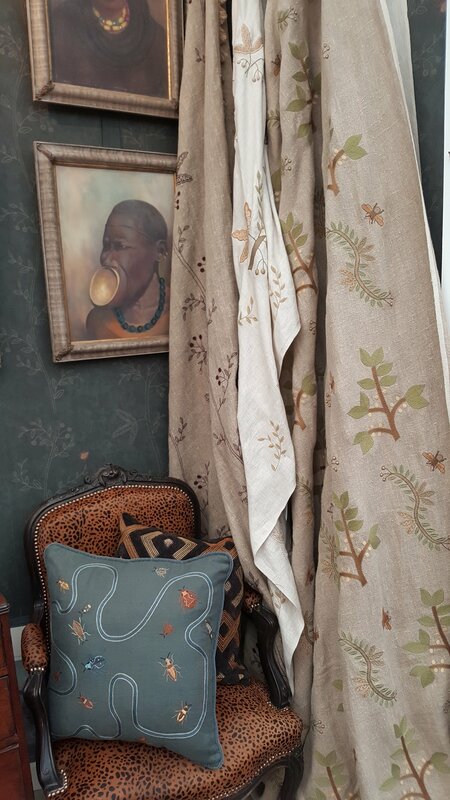 Baker & Gray‘ s collection is inspired by the lifelong travels of designer Sarah Baker. Prints and embroideries are derived from family heirlooms and plants forms from the African continent. Reminiscent of raw, untreated cloth the linens have an earthy elegance that harks back to a bygone age. Smaller design companies have historically been limited in their collections by the prohibitive cost of print production. The evolution of digital printing has somewhat alleviated this problem, with shorter minimum print runs and the opportunity for affordable multi-colour printing. It is, however, gratifying to see that the art of hand screenprinting is still very much alive and championed by small design companies. March & May handprint their collection of small scaled graphic printed fabrics in their Sheffield studio. Bicoloured or monochrome designs are all hand printed to order. Designer and ceramicist Laura Hamilton is one of the Justin Van Breda Showroom’s new additions. 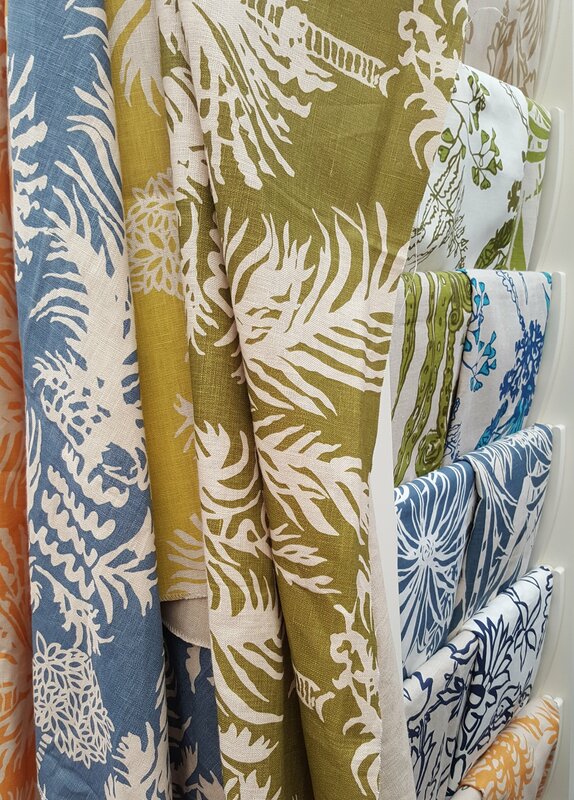 Again these designs are inspired by a life well travelled, depicting plant forms of the Caribbean in their simple,pared back drawings, hand printed onto linen. 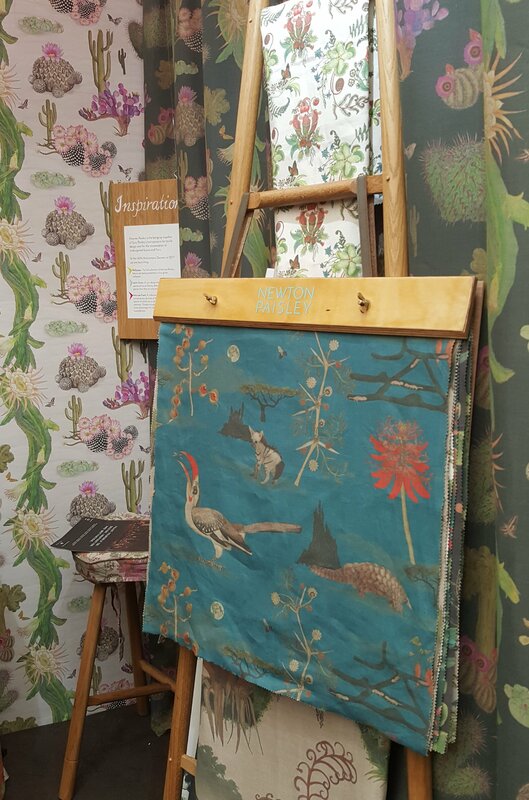 One of the more refined examples of digital printing in Decorex were the wallpapers of Boho &Co shimmering hummingbirds and delicate plants climb the wall reminiscent of traditional chinoiserie papers. The colours are get my contemporary, and the temptation to over design using digital artwork has been cleverly avoided. One of the new companies launching at Decorex this year was Hunt & Hope not a print in sight, this company has rediscovered the art of traditional needlepoint and given it a fun twist. Camouflage and animal skin patterns are stitched by hand to commission ready for use on cushions, ottomans and accessories. A refreshing new approach to a traditional art. It is refreshing to see these and other small businesses thriving in the tough world of the interior decoration industry.